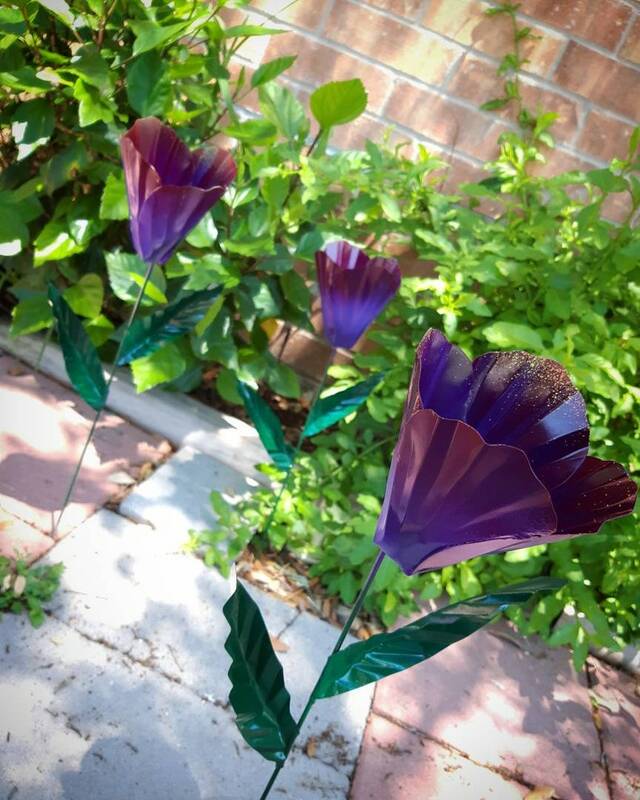 This was my very first metal garden stake design made from my thicker metal! 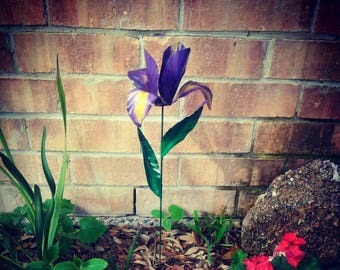 Hand cut, hand molded, and handpainted into pretty tulip flowers! A perfect garden decoration just in time for Easter! 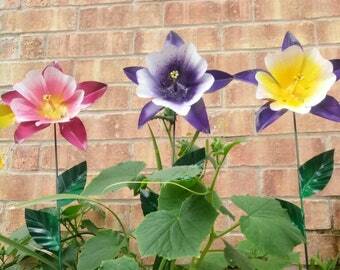 This listing is for one garden stake, but they look beautiful in a set of 2 or as many as you'd like! Pick any color combination. Almost 24" tall and mounted on a stainless steal garden stake. Love them-well made-very pretty colors. I want more!